This week I just started to enjoy summer after a couple busy weeks at work. As I finally rested on the beach, my daughter declared that she’d like to start her back-to-school shopping. I tried not to give her the evil eye, but this is the story of my life. Every year I just start to enjoy summer when fall catalogues show up at my door. I go buy sunscreen for vacation and it’s on the shelf beside the Christmas lights. I fully immerse myself in peach season as the ads for the pumpkin patch emerge. Why are we always in such a hurry for the next big thing? Most of the time I operate at super-speed. Things come at me fast, so I have to keep up. But right now, in this current season of life, I have a new longing in my heart for SLOW. Fast is where you have to be if you’re going to be anybody, or get anywhere. 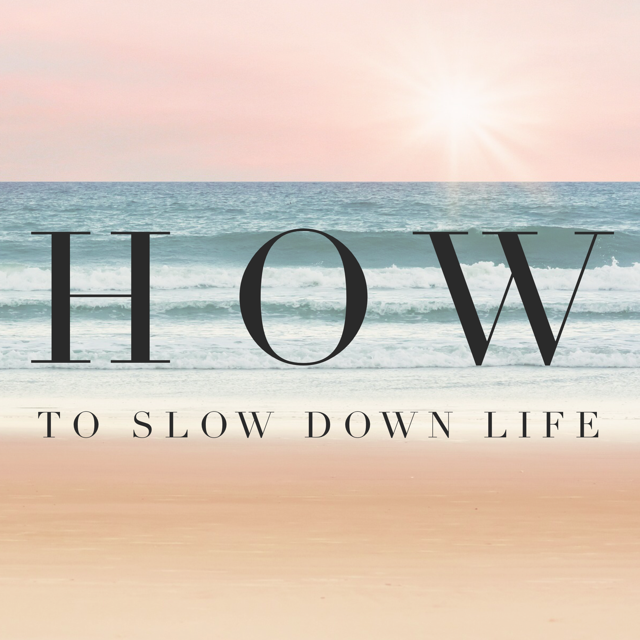 But sometimes in the fast, I miss all the joy I only discover when I take time to stop and slow down my life. And while I don’t want to sit idle and waste my days away staring at blank spaces, I need to make space in this season for simple. So, I’m focussing on simple for the season ahead of me. The next weeks of summer love, pink sunsets and lingering long days. Buying flowers from the side of the road. Checking my little garden every night. Writing outside on the deck. Taking my sweet momma out for muffins and tea. Having popsicles walk with my son. Spraying my feet with the garden hose. Drinking ice coffee all day long. These are the simple things I love. These are the things that help me slow down. These are the things that ground me when the hard things of life come my way. These are the things that bring balance to what sometimes feel like chaos. The simpler I make my life, the more I appreciate the world around me. The more I slow down, I’m able to create margin for the things that matter. Complications can be easier solved and faced with a simple perspective. Drama ceases. Love abounds. Heart settles. And honestly, I feel closer to my Maker. In a crazy life it’s easy to lose Him in the madness. It’s hard to find time for Him in the over-commitment. It’s challenging to hear His voice when the channel is always on the one that makes the most noise. When there’s simple space, you can make room for more. No matter your pace this season, take a breath. Slow down and make time for the simple and small things in your life that bring you the greatest joy. Find more in the less. « It’s ok to want to be great.